Rectangular base (w: 0.51 x h: 0.77 x d: 0.74, truncated at top). 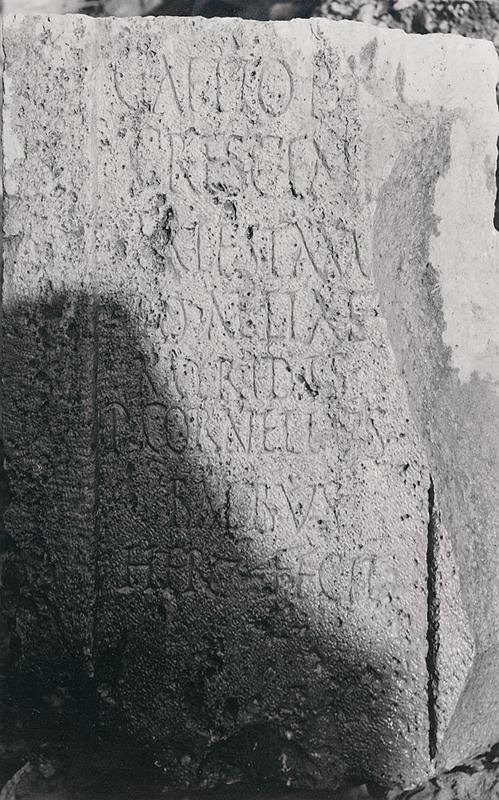 Inscribed on one face within a recessed panel (die, w: 0.33 x h: 0.77; height incomplete). Capitals, with some Rustic forms: 0.04-0.05. Lepcis Magna: Forum Vetus, in the street at the South angle of the Curia. 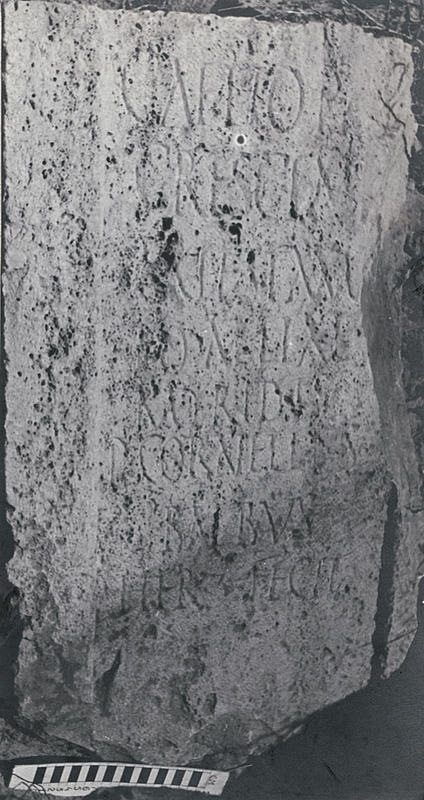 To Caius Aelius Crescens, of the Roman voting tribe Papiria, in accordance with the will of Aelia Myris; Publius Cornelius Balbus, heir, had this made.